Even after the rain overnight, bolts of lightning accentuate the murky clouds. I arrive at the edge of Spring Peeper Meadow just after sunrise. From behind swirling clouds, a brightening cerulean sky emerges and I realize that it will be a beautiful day! 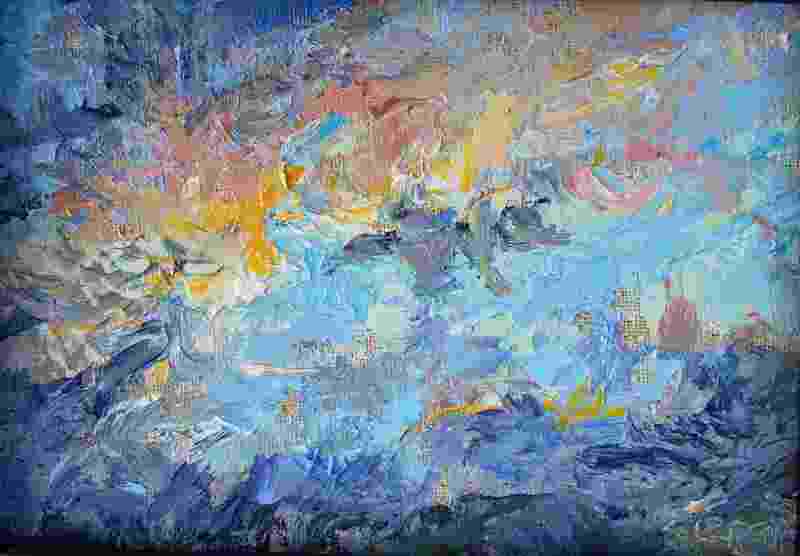 Racing the moving clouds and fading light spectacular, I dash off a “quick paint” to capture my impressions. Everywhere, I’m surrounded by dripping wet foliage. Bright sunshine sparkles off the dewy, dripping moisture. In particular, non-native four-o-clocks capture my attention in the way that webs of water bridge the spidery stems and paper-like petal/sepal corolla (flower assembly). 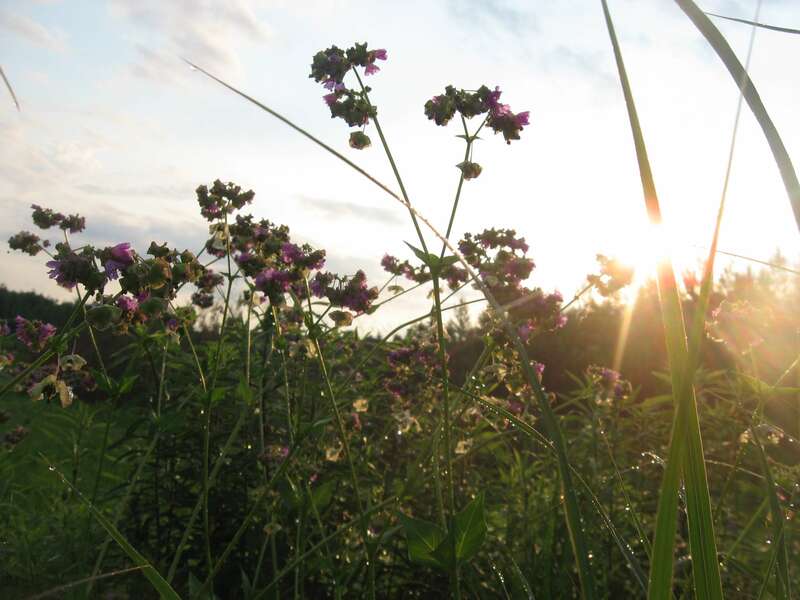 Beads of water create a sparkling outlines of grass blades backlit with morning sky. If you’ve ever seen flowering red dogwood in the home, business, or garden landscape, you’ve noticed its umbels (umbrella-like forms) of bell-shaped flowers, its red stems and its pointed oval leaves. 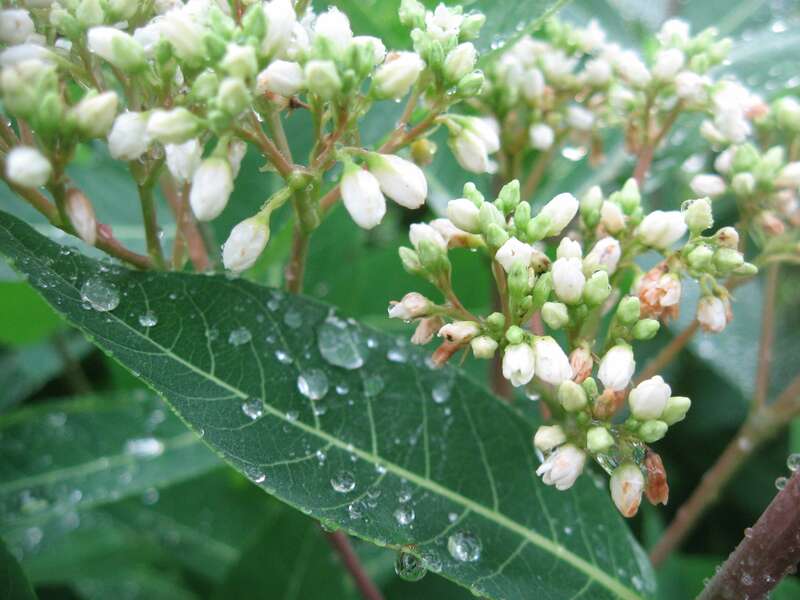 A similar looking plant is Indian hemp. But Indian hemp offers an added attraction of a life surface that beads water beautifully. I investigate the boardwalk which has been closed for the past year. It appears that repairs are underway. I hope that the walkway and the shallow wetland are both restored soon. These are some of my favorite features of the Arboretum. 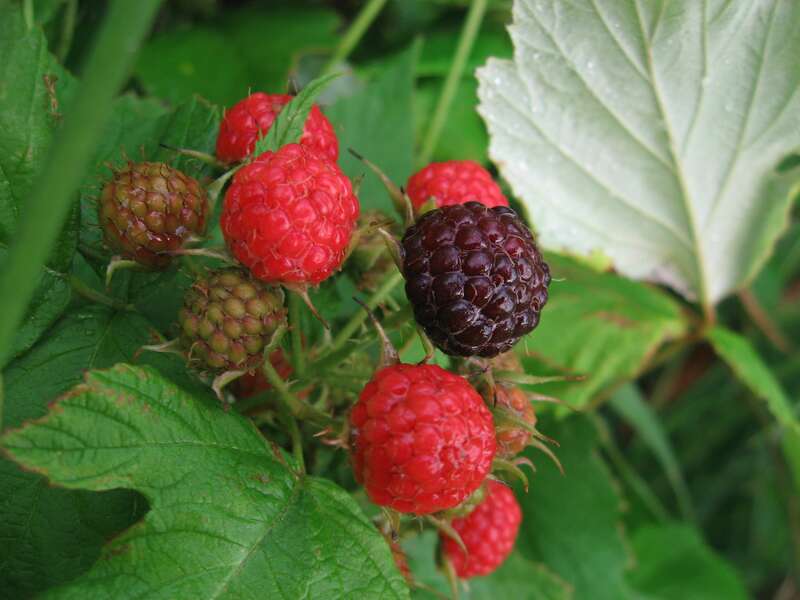 On my walk back towards the parking lot, I notice red fruit on low brambles. Raspberry fruits are ripening! I consider a walk through the prairie grasses towards the main body of the Arboretum; but the dewy grasses that would envelope my tennis shoes and socks in soaking moisture discourage me. Maybe on a later visit, when the warm season prairie grasses have grown, a drier day will be more favorable for hiking. 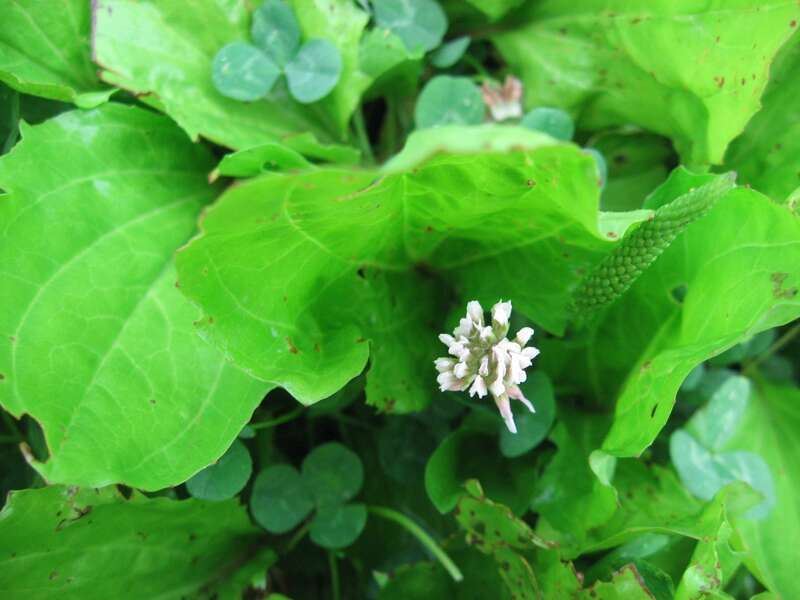 Looking further on the path, I notice broadleaf plantain and white clover. These non-natives, and especially the plantain (also known as “white man’s footprint”) grow where foot traffic may have transplanted their seeds. And, these stands are especially lush – the result of less foot traffic now because of the boardwalk closure. Plantain leaves have interesting wavy leaf edges and spike-shaped flower – features that one wouldn’t normally notice. White clover has a spherical white cluster of small florets and a three-leaflet clover-like foliage on thin curving stems. If nothing else, my early morning visit reminds me to look up as well as down to find nature’s wonders.